You just got an Apple Watch and you are looking for useful and fun apps? These are my favorite third-party apps for the wrist. Automatic sleep-tracking has been on my Apple Watch wishlist since forever. The Fitbit I wore before I got an Apple Watch did it very well. I wonder what Apple is waiting for. Until they are finally ready I’m more than happy with the third party app AutoSleep. By the way, if you charge your Apple Watch in the evening when you arrive home and in the morning when you get ready to leave you can easily wear it during the night. Pro-tip: If you have an old Apple Watch use it as a night watch. So you always have a fully charged watch in the morning. I still can't believe how much this app improved our family shopping. It’s the best synchronized shopping list I have ever used. It looks good and its easy to use. Its a must on every Smartphone if you ask me. It's also one of the best apps for the Apple Watch and one of the best use-cases for apps on the wrist. With Bring, you can use your watch as a shopping list in the grocery store or you can use your watch to add stuff to your list when you're in the kitchen and the phone is out of reach. This is a very small but handy tool. Clicker helps you count. It works like the tool flight crews use to count passengers. Just tap the screen of your watch whenever you want to count something. If you have a newborn you might already know this app. But did you know they have an excellent app for the Apple Watch as well? Feed Baby on the watch does exactly the same as it does on the phone. It helps track everything your baby drinks and does. The big advantage of the watch app is the fact that you always have your watch with you. If you want to start a feeding session you don't have to look for the phone first. I recently recommended this app on my blog. If I have a good idea in the shower I just open this app on the watch and press record. Its a dictaphone on your wrist. But it doesn’t only record audio it also transcribes it. This app is highly recommended for quick notes on the go. Who says the Apple Watch isn't good for games? Lifeline is a text adventure. You have to help a stranded astronaut via SMS. The game was fun on the iPhone but it feels even more at home on the Apple Watch. Nicely done and more gripping than you would expect. I'm not a fan of Facebook. But you have to hand it to the Zuckerberg company at least their Messenger has its own app on the watch. I wish Hangouts, Twitter and Whatsapp had an app too. Too bad the Messenger is not using the cellular connection of the Series 3 yet. If you’re completely invested in the OneNote world your gonna like the possibility to quickly dictate notes on your wrist. Basically its the same idea as Just Press Record but it isn’t a standalone app and it requires a connected iPhone. Me I just use the OneNote app to have a quick glance at my most recent notes. Another bravo for Microsoft. 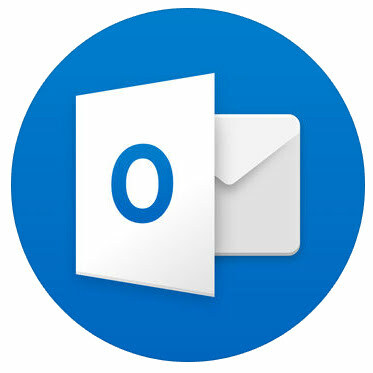 With Outlook they bring a second office app to the wrist. I use it even more than OneNote. Outlook on the wrist offers me an easy way to check my work email on the go. Unfortunately, it doesn't work without an iPhone. But Apples own Mail app doesn't either. No wonder Apple bought the company behind this app. 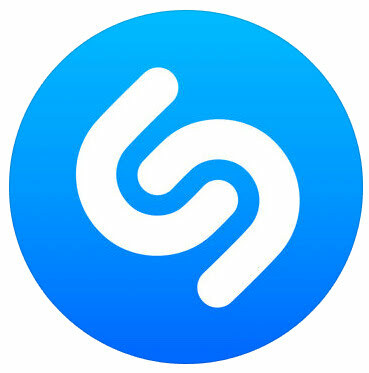 After a lot of updates, Shazam offers one of the best app experiences on the Apple Watch. It's completely standalone. If I want to know what song is playing in a restaurant I just press the Shazam button on the watch. It's not as quick as Soundhound on my iPhone but its more than good enough for real life use. Apples own weather app for the watch is beautiful and very handy. But it lacks one feature: the rain radar. That's what I use WeatherPro for. The app doesn't look very nice but it has the rain radar.